Large majorities of Americans have concerns about the security of their electronic health records, and more than two-thirds of patients say their physicians have not adequately explained the switch to digital records, a new poll shows. As physicians race to adopt EHRs and collect federal incentive payments, a survey sponsored by Xerox suggests they need to do a better job educating their patients about the implications of digitized health information. 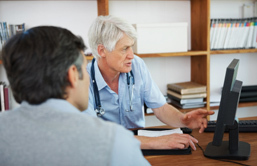 The fourth annual EHR survey polled more than 2,000 U.S. adults and found that just 29 percent have even been informed by their doctor that their medical records will be converted to digital format. That's a modest improvement from recent years, say Xerox officials, but the survey still shows that most Americans (83 percent) have big concerns about EHRs -- largely centered on privacy and security. Strikingly, only 32 percent of patients want their medical records to be digital at all, according to the poll. Healthcare providers seeking to earn meaningful use Stage 2 incentives have one year to make patients’ medical records available via online portals and must have 5 percent of their patients actually access the data. Currently, just one-fifth (19 percent) of the U.S. adults surveyed have access to their medical records online. "Since the HITECH Act became law four years ago, healthcare providers have made tremendous strides in adopting EHRs, but there has been little to no change in Americans’ acceptance of digital medical records," said Charles Fred, president of healthcare provider solutions at Xerox, in a press statement. "Patients will soon have more access to their personal health information than ever before," he added, "but they need to be educated by providers on how this will empower them to take charge of their own care." Americans do see some benefits of EHRs, the survey shows – 62 percent think they'll reduce overall healthcare costs, and 73 percent say they'll improve the quality of service they receive from their care provider.